During relapse, mild sensory changes and increases in fatigue are often left to resolve on their own. For severe relapses that interfere with mobility, safety, or ability to function (involving vision loss, severe weakness, or poor balance, for example), high-dose intravenous corticosteriods to reduce inflammation and end the relapse more quickly are recommended. Treatment options include: Solu-Medrol (methylprednisolone), Deltasone (prednisone), or H.P. Acthar Gel (ACTH) for those who can’t cope with the side effects of the steroids or for whom steroids have been ineffective. Of the 12 FDA approved drugs to treat relapsing-remitting MS, six are injectable (Avonex, Betaseron, Copaxone, Extavia, Plegridy and Rebif), three are oral (Aubagio, Gilenya and Tecfidera), and three are infused (Lemtrada, Novantrone and Tysabri). All have been shown to reduce the number of relapses and new lesions and may slow disease progression. Novantrone is approved for those for whom MS is progressing despite treatment with one of the first-line medications and for those with secondary-progressive MS. Lemtrada is approved for those with relapsing forms of MS who have had an inadequate response to at least 2 other disease-modifying therapies. Those who have had a CIS and have a high likelihood of developing MS in the future are encouraged to begin treatment with medication to delay or prevent a second neurologic episode. The drugs approved for CIS are Avonex, Betaseron, Extavia, and Copaxone. In the transition from RRMS to SPMS, inflammation that occurs early in the disease process slowly decreases over time, but a gradual worsening of symptoms occurs. The challenge for clinicians is to determine whether worsening symptoms are from the last relapse, or whether the patient has progressed to SPMS. A careful history of changes in a patient’s symptoms, neurologic examination, and MRI can help determine whether the transition has occurred. Interferon beta (Avonex, Betaseron, Extavia and Rebif), Aubagio (teriflunomide), Gilenya (fingolimod), Tecfidera (dimethyl fumarate), and Tysabri (natalizumab) are approved by the FDA for use in relapsing forms of MS, including SPMS. Many of those who progress to SPMS continue using these medications unless they are no longer adequately controlling disease activity. In this case, patients may transition to Novantrone (mitoxantrone), the only medication approved by the FDA specifically for SPMS, as well as worsening relapsing MS. While there is no “MS diet,” what patients eat can affect energy level, bladder and bowel function, and overall health. MS specialists recommend that people with MS follow the same low-fat, high-fiber diet recommended by the American Heart Association and American Cancer Society. There is also research suggesting that vitamin D may have important effects on the immune system. Staying active with activities such as gardening, household chores, or cooking, or with physical activity such as yoga, adaptive tai chi, or exercise in water (exercise with slow, deliberate movements) can provide benefits and allow people with MS to move in ways they would normally not be able to. Staying physically active has also been shown to improve symptoms of fatigue. Medications for nerve pain, as well as massage, physical therapy, or acupuncture can also be beneficial for some patients. Over 2.3 million people worldwide are thought to have multiple sclerosis (MS). Approximately 85% of those people are initially diagnosed with relapsing-remitting multiple sclerosis (RRMS), which is characterized by clearly defined attacks or relapses of worsening neurologic function, followed by periods of remission during which no disease progression occurs. Because damage to nerve fibers can vary greatly, no 2 patients will have the same symptoms. While researchers have been able to determine some information about the immune cells that attack myelin, they are still working to understand what sets the attack in motion, how it works, and how to slow or stop it. Determining the incidence of MS is virtually impossible. Instead, most epidemiological studies focus on prevalence. Research has found that MS occurs in most ethnic groups, but is more common in Caucasians of northern European ancestry, as well as women. It is more common in places farther from the equator, and those who move to a different geographic area generally take on the risk level associated with the new area. Genetics also appear to play a role, but are not entirely responsible for the disease, as the identical twin of someone with MS is only 25% more likely to get it, rather than 100%. This demonstrates that other factors such as geography, environment, ethnicity, and an elusive infectious trigger are likely involved as well. Patients with MS often present with fatigue, walking difficulties, numbness or tingling, spasticity, weakness, vision problems, dizziness or vertigo, bladder or bowel problems, pain, cognitive changes, emotional changes, and/or depression. The Revised McDonald Criteria published in 2010 includes guidelines for using MRI, visual evoked potentials (VEP), and cerebrospinal fluid to facilitate diagnosis. Current guidelines state that it is important to make a diagnosis as quickly as possible, even after just one attack. MRI reveals abnormalities of the brain in 90% to 95% of patients with MS, and 75% of patients with spinal cord lesions. Common lesions of MS may be found in the periventricular white matter, cerebellum, brainstem, and spinal cord. Lesions found at the interface of the corpus callosum and the septum pellucidum, which reveal multiple hypointense lesions in the region on T1-weighted sagittal images, are specific markers of MS.
More than 12 FDA-approved medications exist to reduce the frequency and severity of MS relapses and reduce the accumulation of lesions in the brain and spinal cord. They may also slow the progression of disability. Severe relapses are commonly treated with high-dose corticosteriods. However, medication is just one aspect of treating MS. Rehabilitation for symptoms that begin to interfere with daily activities can include physical therapy, occupational therapy, cognitive rehabilitation, vocational rehabilitation, and speech-language pathology. Overall health is very important, including maintaining a healthy diet, engaging in physical activity such as yoga, tai chi, or light exercise, and smoking cessation. Smoking can increase the risk of developing MS and can worsen symptoms. Emotional support for patients and families is also important: MS can affect mood, and depression is one of the most common comorbidities of MS.
MS can significantly affect people’s moods as both a symptom of and a reaction to the disease. Those with MS may benefit from the support of counseling for grief and sadness, anxiety, stress, worry, and fear, moodiness and irritability, and depression. Steroids used to treat MS relapses can cause mood swings when the medication is being tapered or stopped. A short course of mood-stabilizing medication may be prescribed for those with significant mood changes. All 5 beta interferon medications (Avonex, Betaseron, Extavia, Plegridy, and Rebif) include an FDA box warning for depression. While studies have not shown a clear connection, patients have reported significant depressive episodes. A thorough review of medical history should be performed prior to prescribing these medications to patients who may be at risk of depression. 10% of those with MS may also experience pseudobulbar effect. Neudexta was approved in 2010 to treat this. 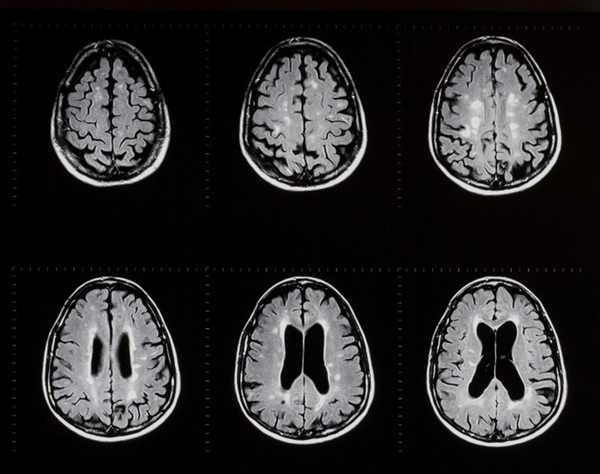 MRI, visual evoked potentials (VEP), and cerebrospinal fluid can be used to look for a second area of damage in someone who has suffered only one attack of MS-like symptoms, known as clinically-isolated syndrome, or CIS. Only some people who experience a CIS may develop MS. When a CIS is accompanied by MRI-detected brain lesions, there is a high likelihood of a second neurologic event and eventual MS diagnosis. One of the challenges of using MRI in patients with MS is the discordant presentation between the location of lesions and clinical presentation. This may be especially true for primary-progressive MS, which may not show the classic lesions of relapsing-remitting MS. Many clinicians are frustrated with MRI reports that detail “nonspecific white matter lesions” that are “compatible with MS.” Imaging needs to be described in detail, and the patient’s neurologic history and clinical findings must be correlated with the imaging to establish an accurate diagnosis.